If you’re looking for the perfect gift for an adventurous friend or family member on your list this holiday, but nothing you’ve seen in the stores speaks to you, consider pivoting away from the “Christmas list” and help them tick something off their bucket list instead. 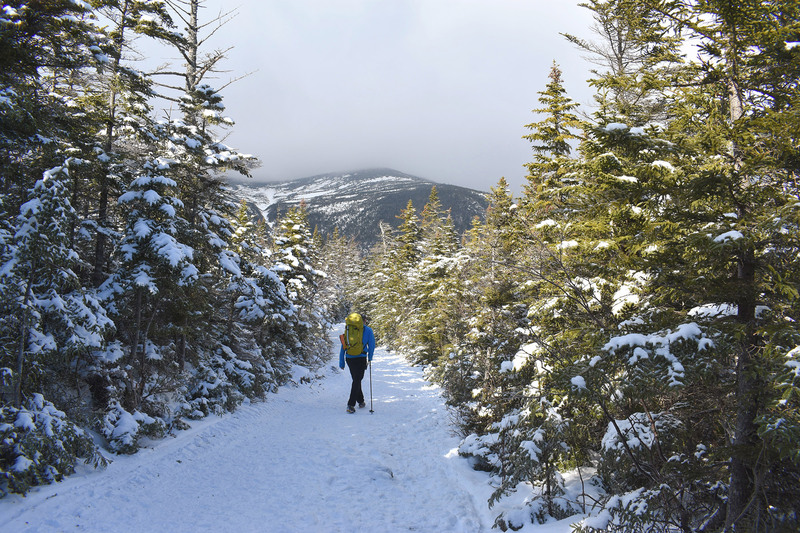 A winter ascent of New Hampshire’s Mount Washington via the Lion Head Winter Route is a must-do trip for any hiker or aspiring mountaineer. 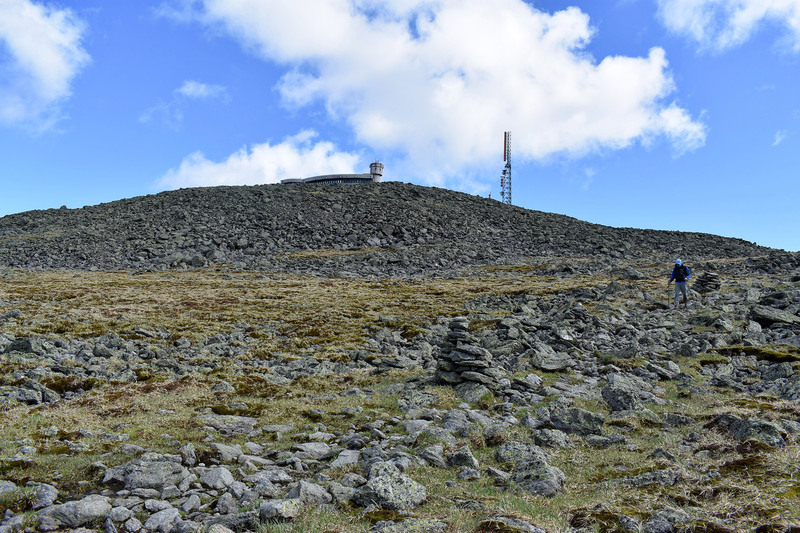 When it comes to the Northeast’s tallest mountain—and the most prominent peak east of the Mississippi—reaching Mount Washington’s summit is an achievement in any season. But, it’s the mountain’s reputation for having “the world’s worst weather,” which is even more notorious in winter, that puts the Lion Head Winter Route on so many people’s life lists and makes it fairly demanding in the gear department. So, to jump-start your loved one on the path to a worthy adventure, supply them with some of the items on this list. 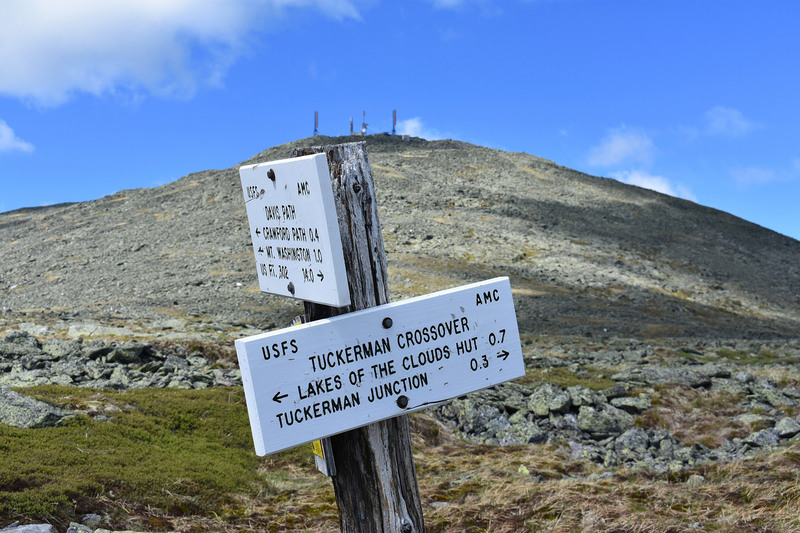 A climb up the Lion Head Winter Route begins benignly enough on the Tuckerman Ravine Trail. Trees protect it from the weather, and it’s wide enough for hiking shoulder to shoulder, and starting from just behind the Pinkham Notch Visitor Center, climbers simply follow the trail to the cutoff for the Lion Head Winter Route. Depending on the winter, this portion may present anything from ice-covered rocks to well-packed snow. Either way, Kahtoola MICROSpikes are safer than booting up the trail without traction devices and allow for faster movement than hiking in crampons. 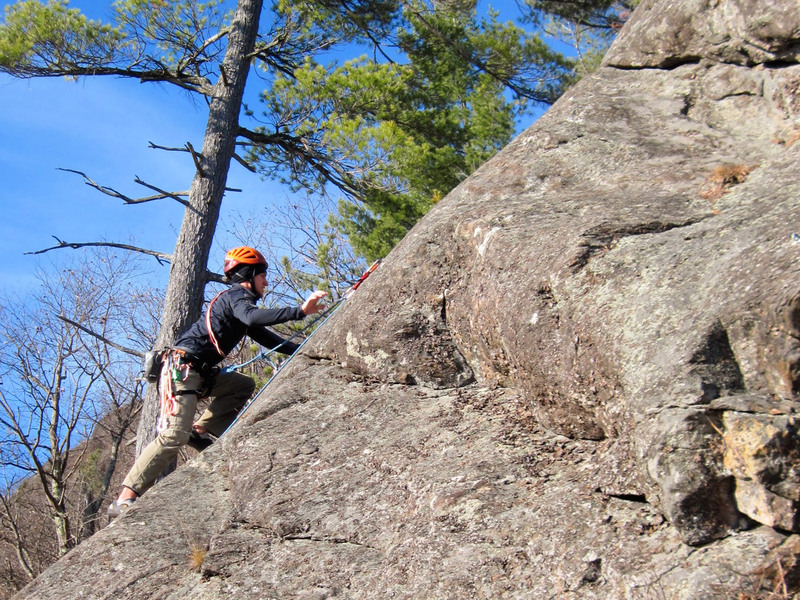 Next up is one of the Lion Head Winter Route’s cruxes: a steep, semi-technical, 100-foot-long rocky section. After that, it’s a steep climb toward treeline and the Lion Head proper. 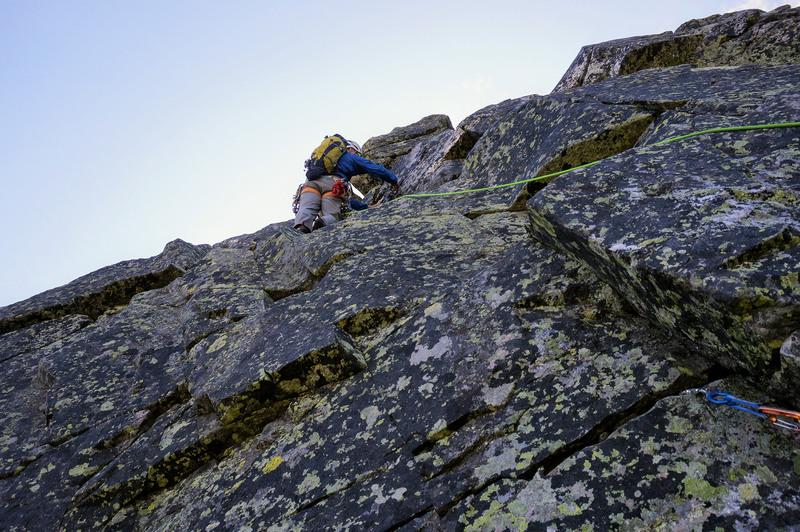 Equipment like the Black Diamond Sabretooth Crampon and Raven Ice Axe are essential from this steep portion to the summit. 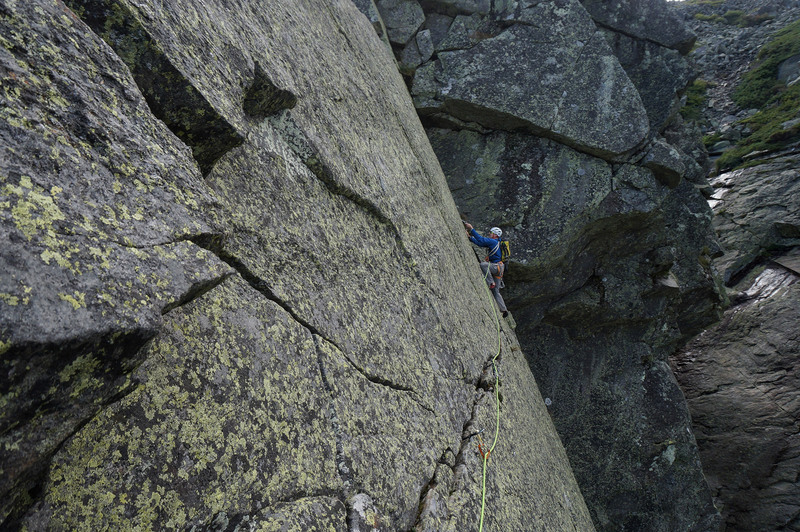 Many parties pause just below the crux to don their gear and replenish fluids from the first hour-plus of hiking. If the person on your list has a thermos, like the Hydro Flask 32 oz. Wide Mouth, it’s a great opportunity to have something warm to drink, and battle another of the route’s challenges—staying warm. It’s amazing what a difference a sip of hot cocoa or tea can make for keeping the body warm and spirits high. With average winter temperatures below freezing at Pinkham Notch and in the single digits on Mount Washington’s summit, preparation for the cold is key. An insulated glove, like the Black Diamond Dirt Bag, is fantastic for this section. Yaktrax Hand Warmers are another welcome sight in any mountaineer’s stocking, as they’re excellent for warming frozen fingers when tucked into gloves or mittens. Or, a hiker can throw them into a pocket near their body to warm up their core. Above the Lion Head proper, hikers encounter another difficulty. The rest of the route is above treeline, thus extending exposure to the full fury of the weather, especially the wind. In fact, the second-highest wind speed ever, 231 mph, was recorded on Mount Washington. To anticipate these conditions, the climber on your list will want a warm winter hat, like Smartwool’s The Lid, weatherproof gloves, such as the EMS Summit (men’s/women’s), and a neck gaiter (our favorite is the Smartwool Neck Gaiter). They will also want to carry goggles (ideally two pairs, in case one set freezes), a balaclava, like the Black Diamond BD Balaclava, and heavyweight mittens, such as the Black Diamond Mercury (men’s/women’s), in the event of extreme weather. 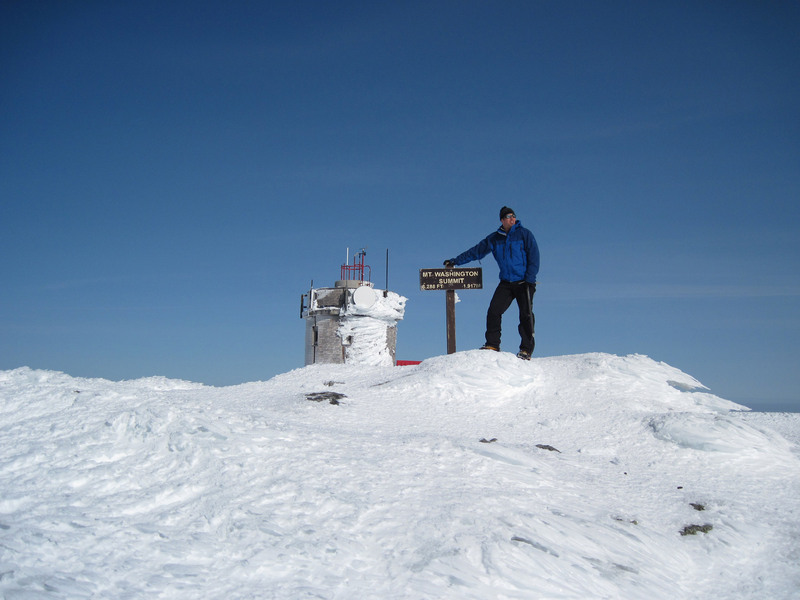 A good puffy coat is mandatory for climbing Mount Washington in the winter. We, in fact, like to carry two. A puffy with active insulation, such as the Outdoor Research Ascendant Hoody (men’s/women’s), is perfect for staying warm while you’re moving up the mountain on the coldest winter days. As well, a traditional puffy, like the Black Diamond Cold Forge Jacket (men’s/women’s), is great when you’re taking breaks, standing on the summit, or in case of an emergency. So that a dream trip doesn’t turn into a nightmare, consider getting the person on your list a GPS watch, like the Suunto Ambit3, which allows hikers to retrace a route backwards or input a route to follow. In addition, an emergency bivy, like the Adventure Medical Kit SOL Escape Bivy, can be the difference between coming home with a great story and being another statistic that proves Mount Washington’s deadly reputation. 28 people have succumbed to hypothermia on the mountain since records started being kept in 1849. As we’ve already mentioned, a trip up the Lion Head Winter Route requires a lot of gear. Just to name a few essentials, you’ll need crampons and an ice axe for the steep and icy terrain, a multitude of layers, goggles, puffies, and a camera for that mantle-worthy summit shot. So, help the person on your list transport everything in comfort, all without being weighed down, with a high-quality mountaineering pack, like the Black Diamond Speed 40. Designed for carrying crampons and ice axes, it also has enough interior volume to ensure no critical gear gets left behind. 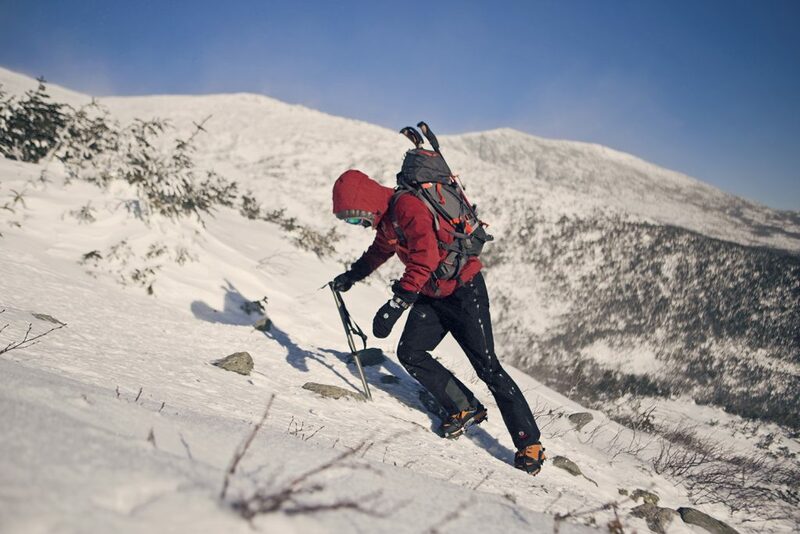 If you think the person on your list has the desire to climb Mount Washington in winter, but not the necessary skills to get up and back safely, consider sending them with the EMS Climbing School, the oldest climbing school in the East. EMS runs guided trips up the Lion Head throughout the season and also provides a handful of two-day trips involving an overnight at the Mount Washington Observatory. 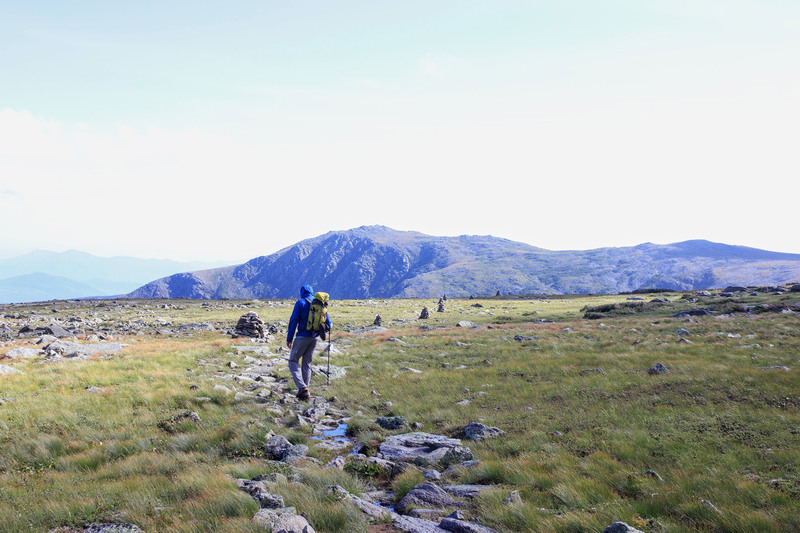 Challenging terrain, breathtaking views, and the summits of six New Hampshire 4,000-footers combine to make the Carter Range Traverse one of the best backpacking trips in the White Mountains. Rugged but weather-protected terrain, fantastic views of Mount Washington and the northern Presidentials, a multiplicity of camping options, all without the crowds of some of New Hampshire’s better-known overnights, and foliage that’s among the best in the Whites make this a must-do fall point-to-point backpacking trip. And, for those who want to go luxurious and light, there’s even an Appalachian Mountain Club hut that’s right in the middle of the traverse. Many hikers begin the Carter Range Traverse at the Carter-Moriah Trailhead on Bangor Street in Gorham. 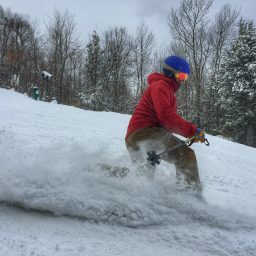 They then head south on the Carter-Moriah, Wildcat Ridge, and Lost Pond Trails for 17-plus miles, crossing six 4,000-footers before ending at Pinkham Notch on Route 16. *The AMC Guidebook lists this hike ar roughly 20 miles, but our GPX and other independent sources have tracked it as less. Getting to the Carter-Moriah Trailhead is simple. Bangor Street is across from the Androscoggin Valley Country Club on Route 2 in Gorham. From Conway, follow Route 16 North approximately 24 miles to Route 2. Take a right onto Route 2, and look for Bangor Street on your right about a mile down the road. There’s a small hikers’ parking lot a few houses before the end of the street. Park there, and then, walk down to the trailhead (44.3822, -71.1694) at the end of the street. If you have two cars, leave one at each trailhead. 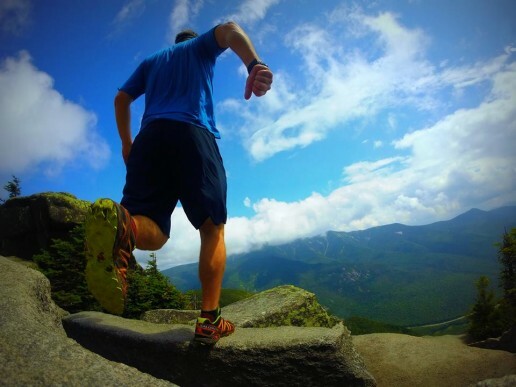 For an alternative, take advantage of the shuttle service provided by the Appalachian Mountain Club. For leaving a car at Pinkham Notch, it’s even easier to find than the Carter-Moriah Trailhead, as it’s right in the middle of Gorham and Conway. If you’re coming from Gorham, just follow Route 16 South for roughly 12 miles, and the building will be on your right. When you’re coming from Conway, Pinkham Notch is roughly 12 miles past the Glen intersection on Route 16 South, and the building will be on your left. Although there’s limited parking at the Carter-Moriah Trailhead, the Libby Memorial Pool off Route 16 has additional parking. If you end up parking there, it is just a short road walk to the trailhead. As an added bonus, you get to cross a cool hikers-only suspension bridge to get to the trailhead. On the way to Moriah’s summit, the Carter-Moriah Trail (CMT) gains more than 3,000 feet of elevation over the course of 4.5 miles. The trail itself is easy to follow but relatively nondescript, with the most notable feature being the rock ledge near the summit of Mount Surprise. If you haven’t taken a break yet, this is a good spot, as it is almost halfway to the summit. After 4.5 miles of uphill terrain, you’ll reach a short spur trail that leads toward Mount Moriah’s summit ledge (44.3403, -71.1315). 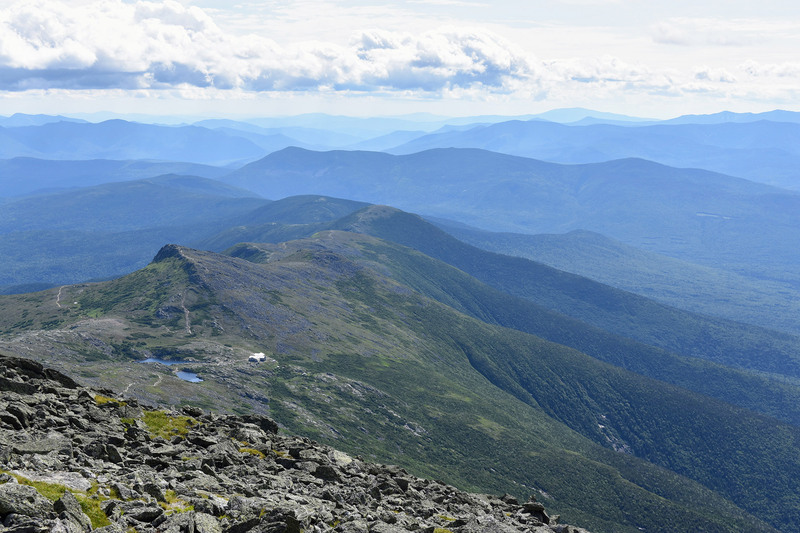 The views from the summit and surrounding area are among the best in the Whites, with the Northern Presidentials to the west, the Wild River Wilderness and Maine to the east, and portions of the traverse visible to the south. From Moriah’s summit, head south on the CMT. After a few minutes, you’ll come to a short, exposed downclimb that can be tricky. Be especially careful if you’re carrying a heavy pack. At the junction at the bottom of the downclimb, keep right to stay on the Carter-Moriah Trail. Although the junction is well signed, if you have any doubts from here on out, you’ll be following the Appalachian Trail’s white blazes, so there’s really no excuse for getting lost. 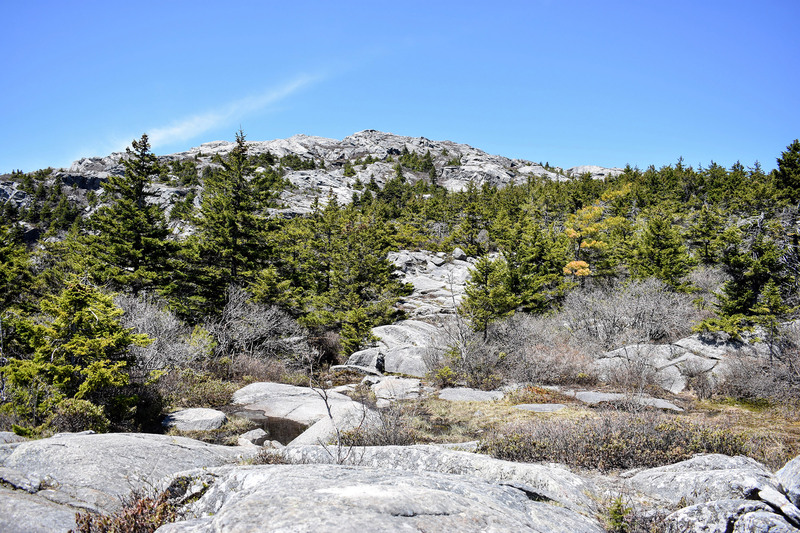 The trail then meanders across ledges and open slab, with great views east into the Wild River Wilderness and Maine’s forests and mountains. Eventually, the trail begins to descend steeply over the open slabs without compromising those views. Along the way, you’ll come across several fantastic overlooks, where you’ll probably find hikers ascending Moriah from the south pausing to catch their breath. Use caution when descending, however, as this section is often icy. About 1.5 miles from the summit, the trail drops back into the trees, where it begins to flatten out. Almost immediately, you’ll arrive at a well-signed junction with the Moriah Brook Trail, but you’ll want to stay on the CMT. Soon thereafter, the trail crosses a boardwalk through a marsh area before coming to the Stony Brook Trail junction. At the junction, remain on the CMT for 0.75 miles, until you come to a spur trail for the Imp Shelter. Coming up the Stony Brook Trail and skipping Moriah is an easier way to reach the Imp Shelter. It’s a great option for those starting late in the day on the first day of their trip or for those looking to do a single-day range traverse. Down a short spur trail, there’s a shelter (44.3291, -71.1502) and five tent platforms (available for $10), with a caretaker present during summer months, as well. Tucked in the shadow of Imp Mountain, this is a great place to spend the night if you’re doing a three-day trip. If you’re doing the traverse in two days, consider pushing on, as you’ve only done one-third of the mileage. Pro Tip: Since the stream at Imp Shelter is the last reliable water source before Carter Notch, it’s a good idea to refill here. If you spent the night at Imp Shelter, the early-morning hike up North Carter on the Carter-Moriah Trail can be a rude awakening. It’s steep and rough, gaining 1,400 feet over the course of roughly two miles. More so, it is probably the traverse’s hardest part, so take your time—there’s a long day ahead. If you’re looking to catch your breath, a few spots on the way up North Carter have good views north toward Moriah. You might miss them, though, when heading uphill, since you’ll be facing the wrong direction. About 1.6 miles from the shelter, you’ll stumble onto North Carter’s summit (44.3131, -71.1645). Although it is 4,530 feet in height, the Appalachian Mountain Club doesn’t consider North Carter a 4,000-footer. The col on the ridge from Middle Carter only descends 60 feet (18 m), thus making North Carter a secondary summit of that peak. Once you’ve climbed to the ridgeline, the CMT mellows considerably along the rolling Carter Ridge. As well, trees shelter the ridgeline, offering great protection from the weather. 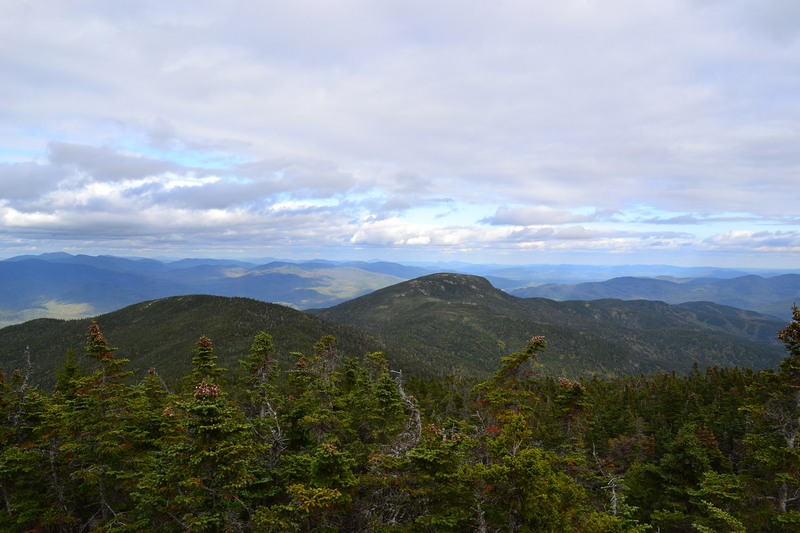 Occasionally, breaks in the trees offer views both to the east (Maine, the Baldface Range, and the Wild River Wilderness) and to the west (the Northern Presidentials). And, because Carter Ridge isn’t a straight line, a few opportunities offer a glimpse of what lies ahead. About a mile from North Carter’s summit, the trail surmounts Middle Carter (44.3031, -71.1673). Although you’ll get great views before and after the summit, the summit itself is wooded and nondescript. And, because you’re near a wilderness area, the summit itself isn’t signed. Look, instead, for a cairn. From Middle Carter, the trail descends gradually to the col between Middle and South Carter. At this point, it climbs gently toward the summit of the latter peak (44.2898, -71.1762). About a half-mile from the col, be on the lookout for a very short spur trail to South Carter’s official summit. Again, there are no signs, but it is pretty hard to miss the small cairn. And, although the summit has no real views, an outlook sits a few steps away on the other side of the trail. Your next objectives—Mount Hight and Carter Dome—dominate the horizon to the south. To reach them, continue south on the CMT for 0.8 miles as it heads downhill toward Zeta Pass. While it descends quickly at first, it then meanders through the woods and over boardwalks as it nears the pass. From Zeta Pass, the Carter-Moriah and Carter Dome Trails temporarily merge, both headed for Carter Dome’s summit. Soon, however, they split at a junction (44.2789, -71.1737), with the CMT taking a slightly longer route with a detour to the outstanding overlook atop Mount Hight. If time is of the essence and you want to skip Mount Hight, take the Carter Dome Trail (blue blazes) directly to the top of Carter Dome. It saves about 0.2 miles, but you’ll be skipping one of the hike’s key highlights. To get to Mount Hight, a subpeak of Carter Dome, simply continue following the AT’s white rectangular blazes. After a few minutes, the trail begins to climb steeply. 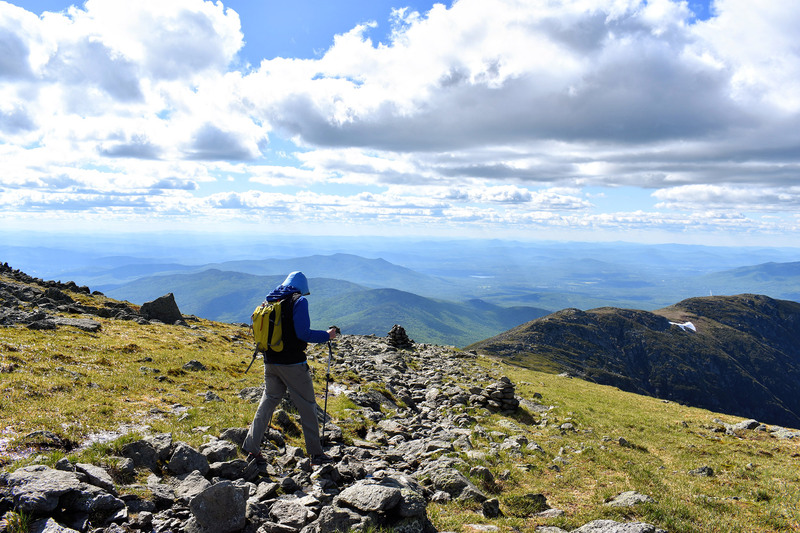 Although some effort is involved, keep hiking: The alpine zone and 360-degree views of the Presidentials, the sections of the Carter Range you’ve traversed so far, and the Wild River Wilderness are well worth it. When you can peel yourself away from the summit (44.2759, -71.1702), continue along the CMT and AT, until it intersects with the Carter Dome Trail, a short distance below Carter Dome. Compared to Hight, Carter Dome is unimpressive, with a small open space and some competing summit cairns (44.2674, -71.1792). 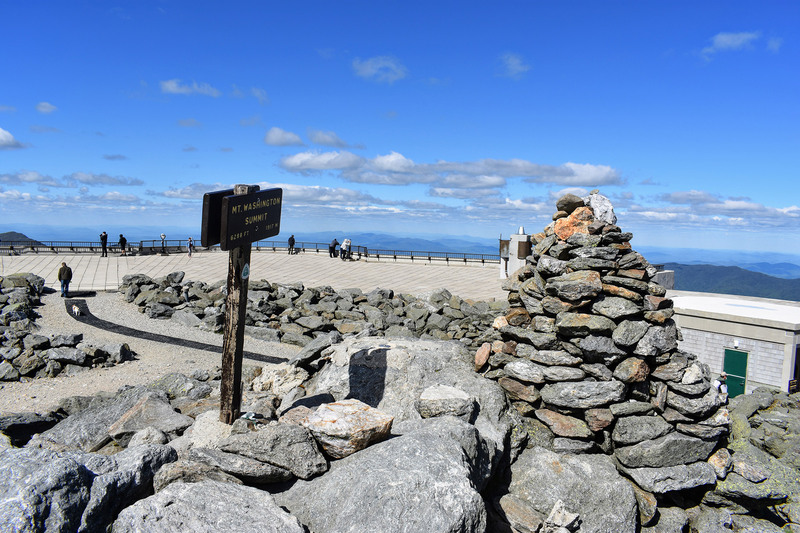 The summit’s northwestern side also has an overlook toward the Northern Presidentials. 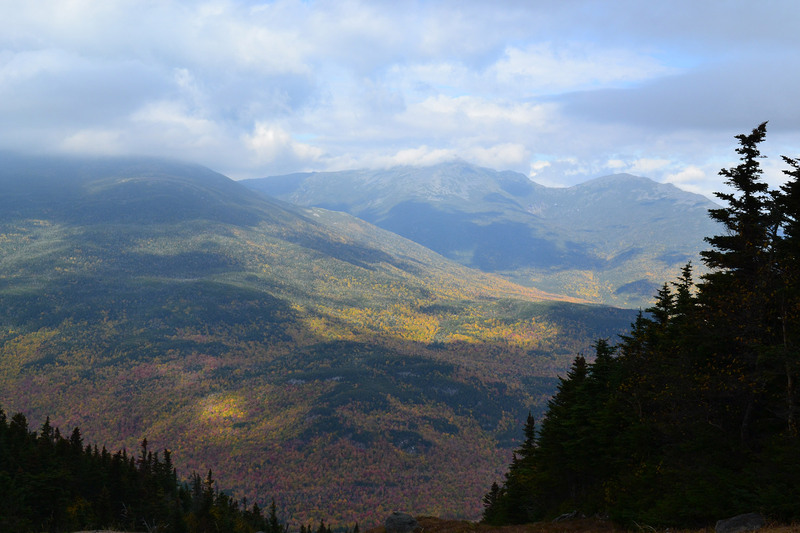 From Carter Dome, the CMT descends into Carter Notch. 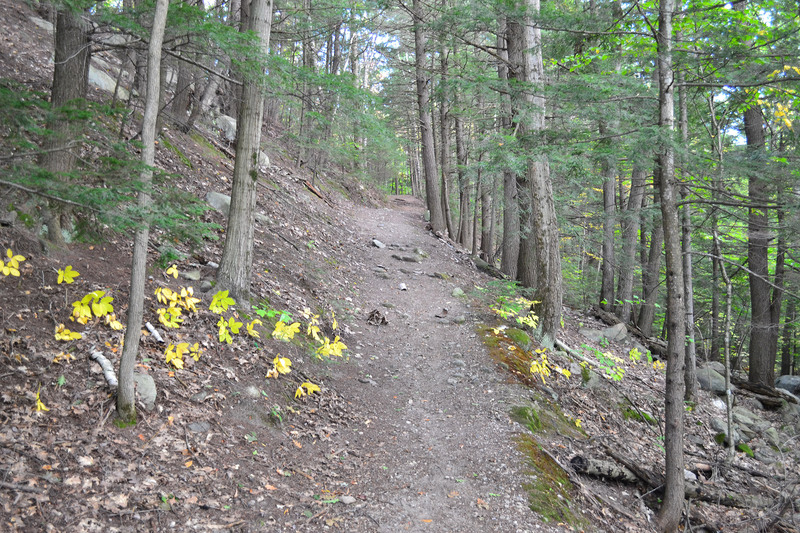 Here, the trail is steep with several sections where you’ll want to watch your footing. About halfway down the trail is a nice overlook, where you can see the Carter Notch Hut with Wildcat Ridge as a backdrop. The CMT spills out into Carter Notch at the junction at Carter Lake. 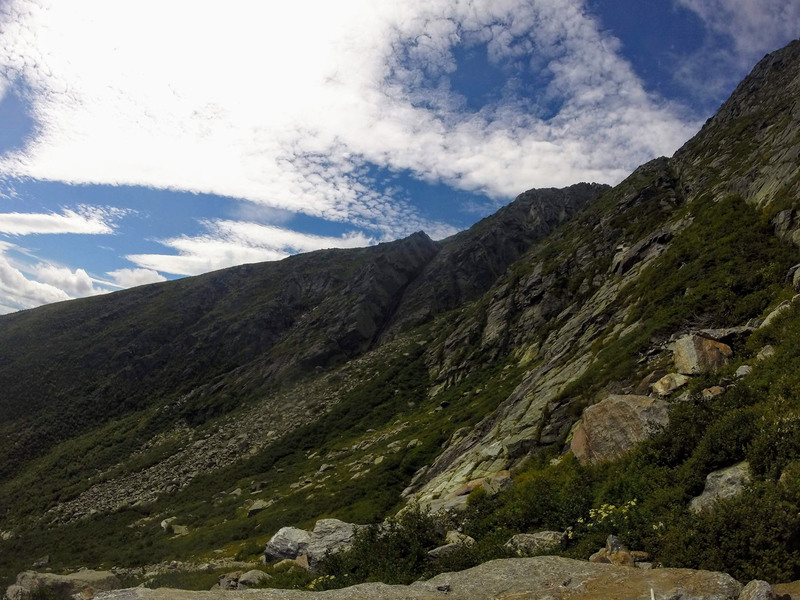 If you’re spending the night at the Carter Notch Hut (44.2588, -71.1951) or just looking for snacks and water, follow a short spur trail left, past two small lakes for 0.1 miles. Built in 1914, the hut offers full services during the summer months, as well as self-service during the rest of the year. Those thinking of spending the night in one of the two bunkhouses can make reservations with the AMC. If you’re continuing on toward Wildcat Ridge, turn right instead, following the trail along the edge of Carter Lake and then up as it begins to climb out of the Notch. 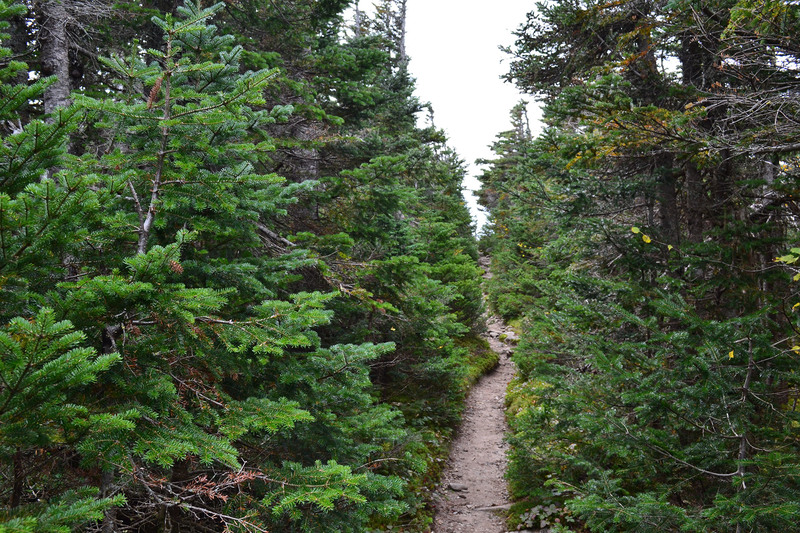 Since the trails around Carter Notch are maze-like, pay careful attention, so you don’t get lost and lose any time. Whether you spent the night at the hut or continued to push on, the 0.7-mile climb up Wildcat A is a tough one. The trail travels continuously over rough terrain, gaining elevation with a series of long, traversing switchbacks. Since the best views are behind you, use that as an excuse if you need to take a break. You’ll know you’re near the summit when the trail briefly levels out. 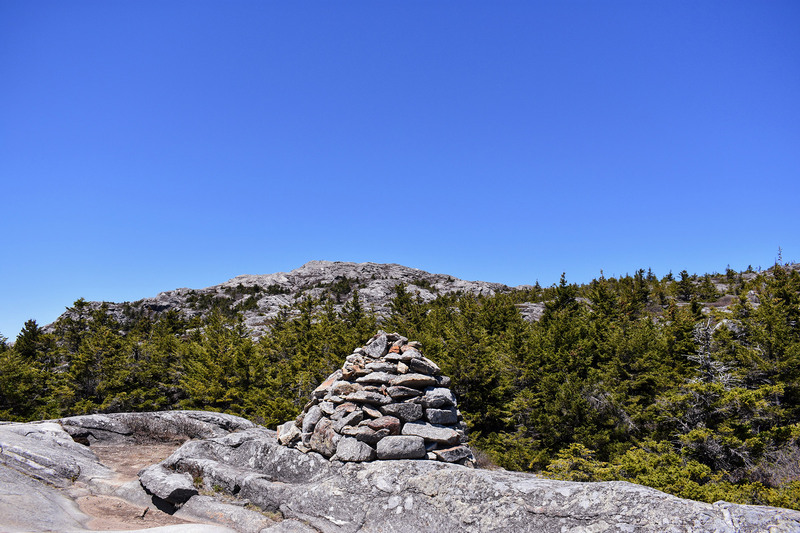 The summit (44.2590, -71.2015) itself is inconspicuous—just a small cairn a few feet off the trail. But, just before, an overlook delivers good views of Carter Dome, the Notch, and the Hut. 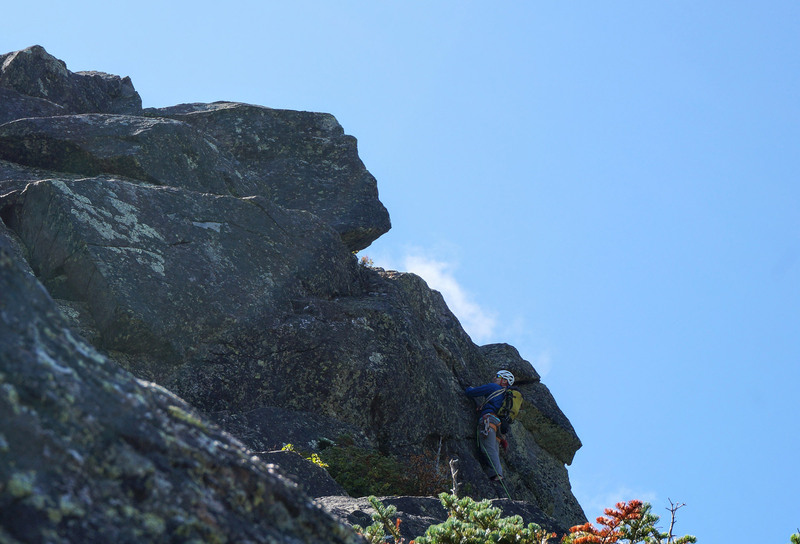 Wildcat Ridge rolls along across Wildcat’s five named peaks—A, B, C, D, and E. Although only two count as official 4,000-footers (A and D), you’ll still have to earn each one, as even their short elevation gains seem like real work this late in the traverse. The most notable of the subpeaks is C, mainly because of the stellar views of Mt. 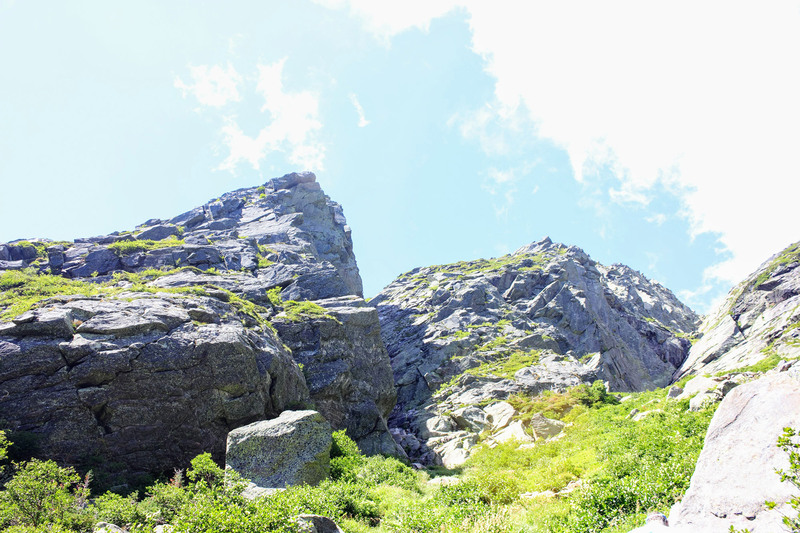 Washington’s Tuckerman and Huntington Ravines on the descent. Be careful, as well, on the descent off C into Wildcat Col; a few of the sections require some easy downclimbing. The sights and sounds of civilization indicate you’ve climbed out of the col and are nearing the summit overlook atop Wildcat D (44.2493, -71.235). It’s the first summit on the trip that’ll be crowded with non-hikers—Wildcat’s gondola runs near D’s summit on fall weekends—but you can at least appreciate that your climb up was much more challenging. 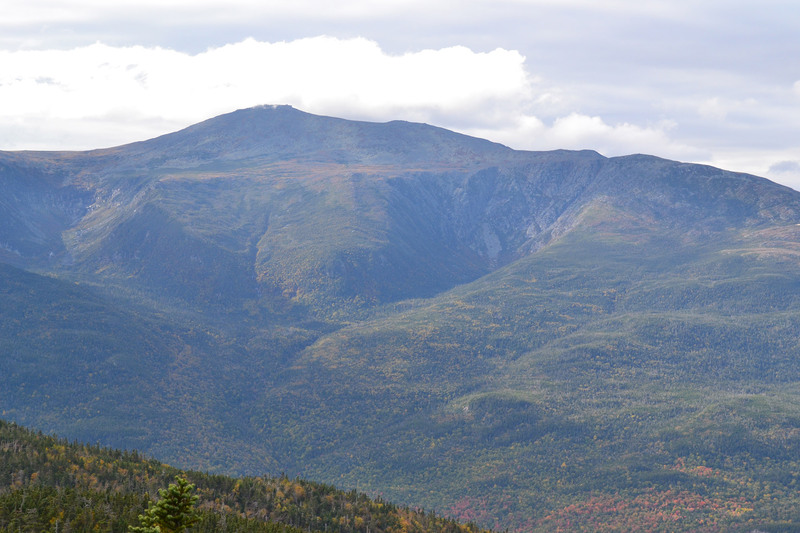 And, if the crowds are minimal or it’s off-hours, the observation platform is a great place to admire Mount Washington. From the overlook, the trail meanders over Wildcat E and soon thereafter begins to descend. 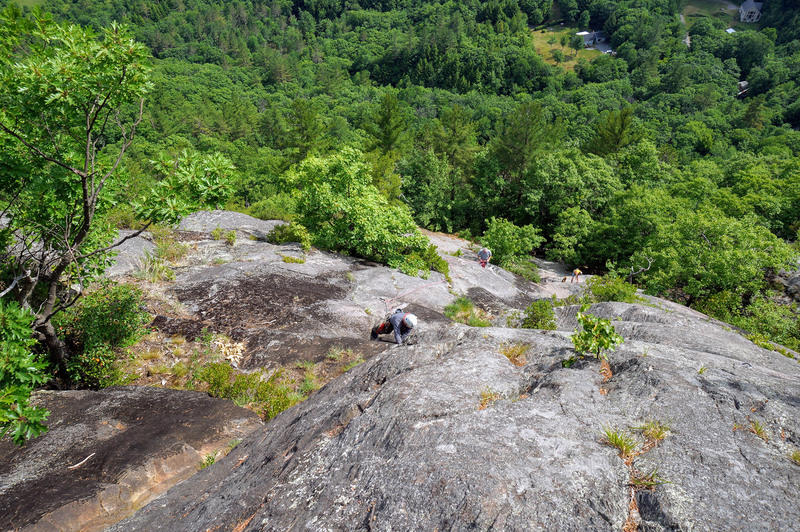 Easily one of the Whites’ hardest hikes, descending the Wildcat Ridge Trail may be even more demanding than ascending it. 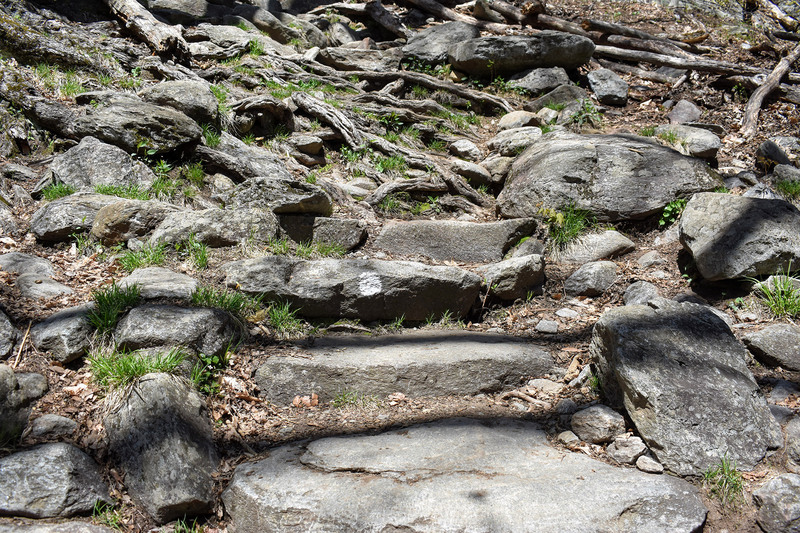 Rocky, slabby, and at times extremely steep, the trail even features rock and wooden steps to ease hiking on such vertical terrain. As it plummets down two miles and roughly 2,000 feet of elevation, people who are carrying big packs, have tired legs, or are uncomfortable negotiating exposed terrain should consider taking the shortcut down the Wildcat Mountain Ski Area. 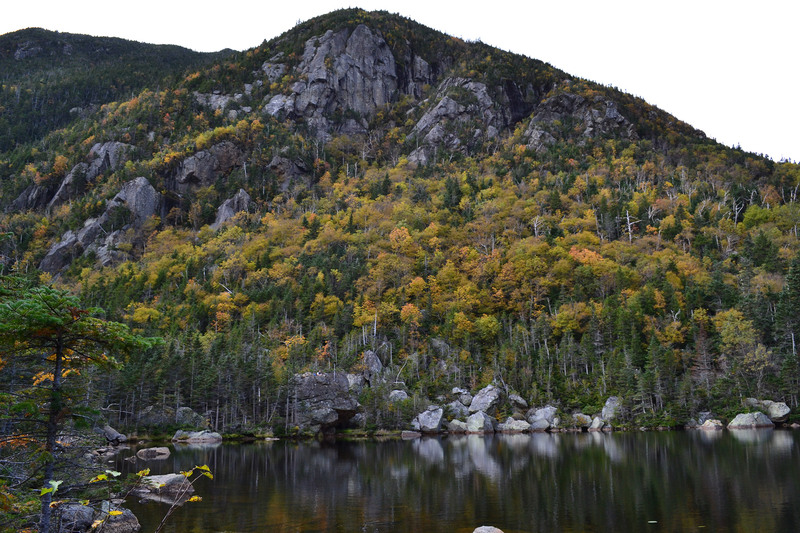 Near the bottom of the Wildcat Ridge Trail, take the Lost Pond Trail for an easy 0.9 miles to Pinkham Notch. Although this route is longer than just finishing out the Wildcat Ridge Trail, it eliminates the need to cross the Ellis River. 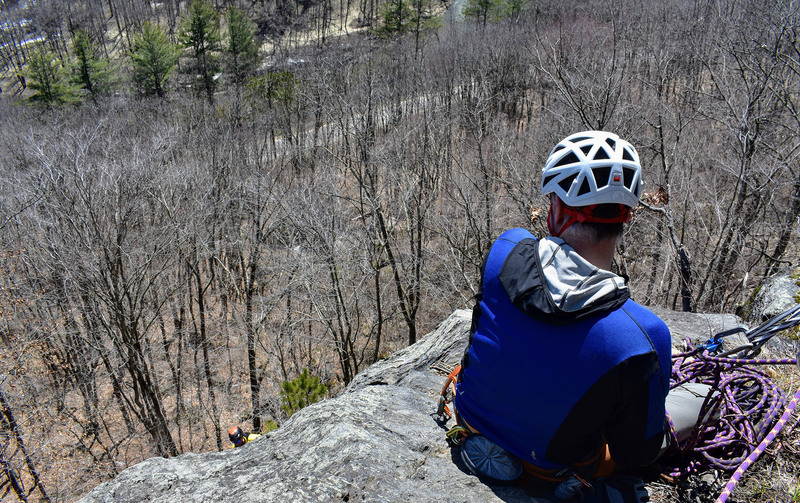 As another reason doing the traverse from north to south is advantageous, after passing the final summit, hikers can quickly scamper down the ski slope to the resort’s parking area, instead of continuing on the steep and rugged Wildcat Ridge Trail to the Glen Ellis Falls Trailhead. The preferred hiking trail is the Polecat Trail, a 2.2-mile green circle that gently weaves down the mountain. 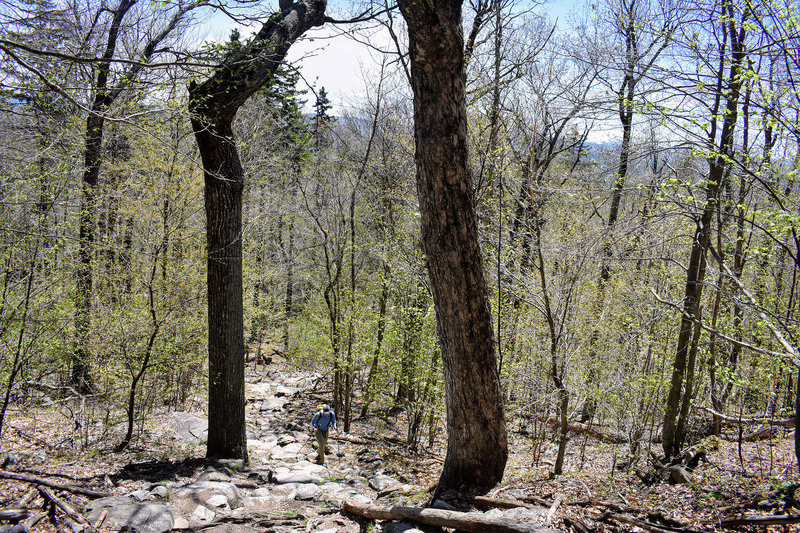 From Wildcat, hikers can do a quick road march back to Pinkham Notch. The EMS Refugio 2 Tent is a great choice for those who feel that staying in the hut is too luxurious but aren’t psyched on going super-lightweight. Weighing roughly a pound and a half more than its ultralight sibling, the Velocity 2, the Refugio delivers plenty of space to stretch out and has voluminous vestibules for storing gear. The Sawyer Mini Filter makes access to potable drinking water easy. Simply screw it onto a water bottle or rig it to your hydration bladder. Or, even drink right from the source using the included straw. After a long day on the trail, appetites are high, but the motivation to cook is low. A canister stove like the Jetboil Flash makes preparing dinner as easy as pushing a button. Super small and compact, the Sea to Summit Ultralight Sleeping Pad is perfect for keeping pack size down and doesn’t disappoint when it comes to comfort. The EMS Mountain Light 20 is warm, compressible, and cozy, making it perfect for trips like the Carter Range Traverse. Open the super-versatile bag up for unseasonably warm weather, or wear your jacket to bed and cinch the hood for those cold fall nights. From mid-September through mid-May, the AMC’s Carter Notch Hut is self-serve. During the self-service season, a bed is provided and so is the use of the hut’s stove, cookware, and utensils. While neither dinner nor breakfast is offered during the self-serve season, you can ditch the weight of a tent and stove. The cost is $45 a night for AMC members and $54 a night for non-members. However, it’s always a good idea to reserve a place in the hut in advance. Although the Carter Wildcat Traverse is pretty straightforward, it’s always smart to carry a map, and the White Mountains Waterproof Trail Map is a good one. In addition to being helpful in the event you get turned around, it’s also perfect for getting stoked before your trip and scheming up the next traverse once you’ve checked the Carter Range Traverse from your list. After a couple long days of GORP, granola, and freeze-dried meals, you deserve something decadent. Treat yourself to an incredible cupcake (or two) from White Mountain Cupcakery. Have you recently hiked in the Carters or Wildcats? 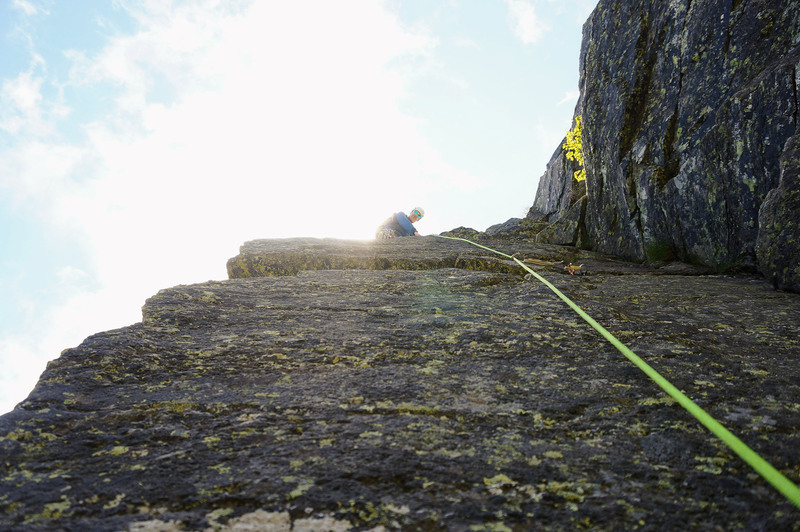 Have you done the complete traverse? What did you think? Post your experience in the comments! How much can you jam in between 5 p.m. on Friday and 9 a.m. on Monday? Outside TV things the Presidential Traverse is a good place to start. 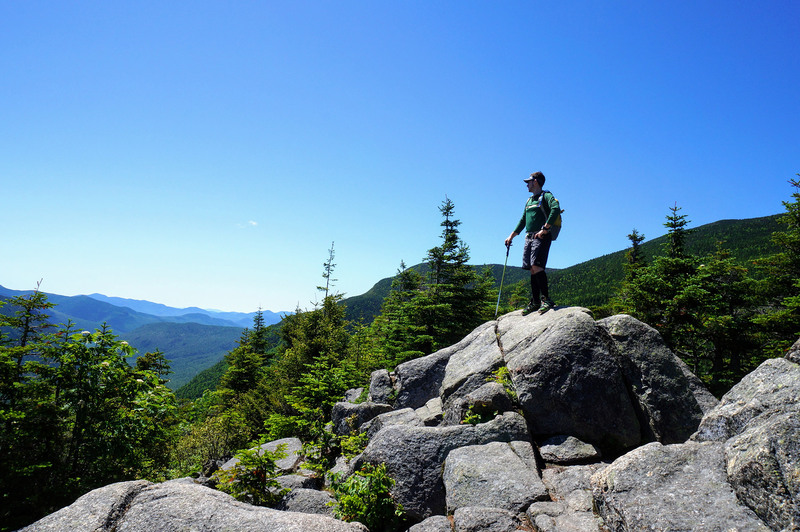 Why Should I Hike New Hampshire's "52 With A View"? Just how big of a draw are New Hampshire’s 4,000-footers? As one clear indication, look no further than the parking situation in Franconia Notch. Drive through the Notch on almost any weekend, and you’ll notice the vast number of cars parked along the highway. This isn’t unique to Franconia Notch, however. Trailheads for popular 4,000-footers are routinely teaming with list-obsessed hikers, ourselves included. 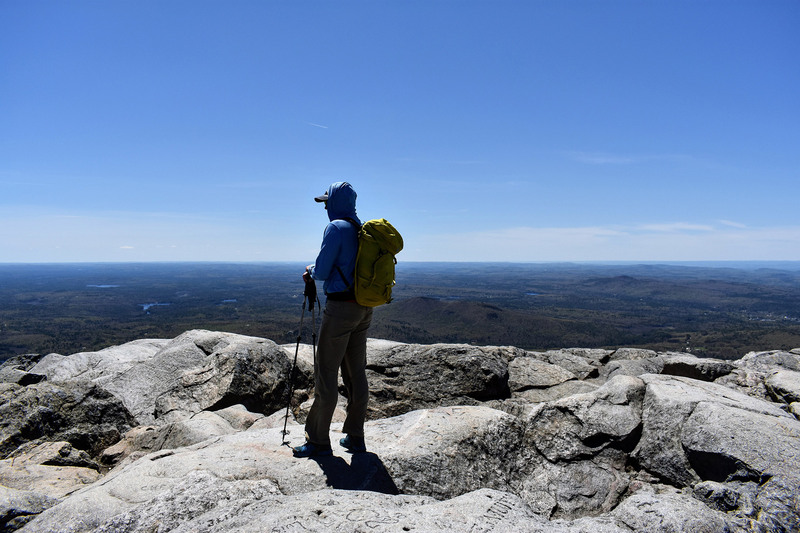 Yet, unbeknownst to many, there’s another excellent New Hampshire hiking list—the “52 With a View” (52 WaV). Broad geographic diversity, options for every ability level, and some of the state’s most scenic views make it a must-do. Here’s why you should check them out on your next hike. In 1990, a group called the Over the Hill Hikers started the 52-With-a-View Club as a way to draw attention to New Hampshire’s mountains that don’t reach the magical 4,000-foot mark. Ranging from just over 2,500 feet in elevation to just under 4,000 feet, every one on the 52 WaV list delivers a stunning view, either on the way to or from the summit. 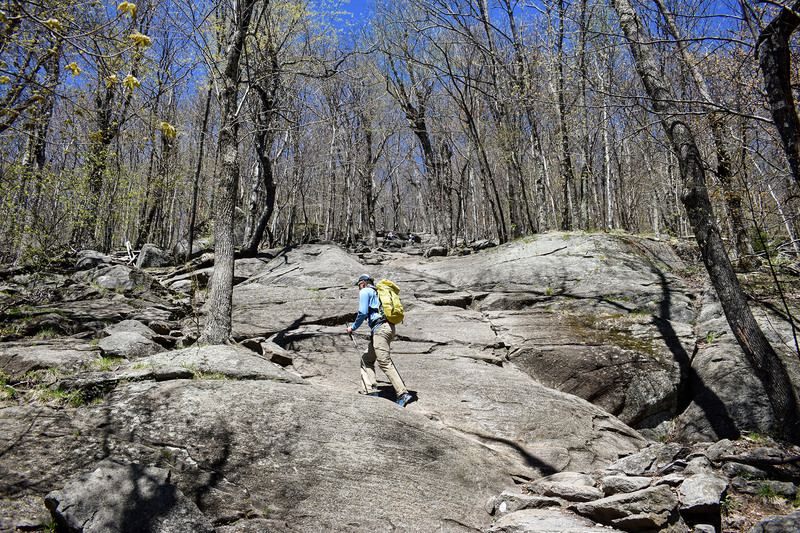 As well, encouraging hikers to explore these under-4,000 footers reduces the pressure on some of New Hampshire’s most important natural resources. There is something to appreciate on every summit, whether it’s a feeling of accomplishment or a prime perspective. 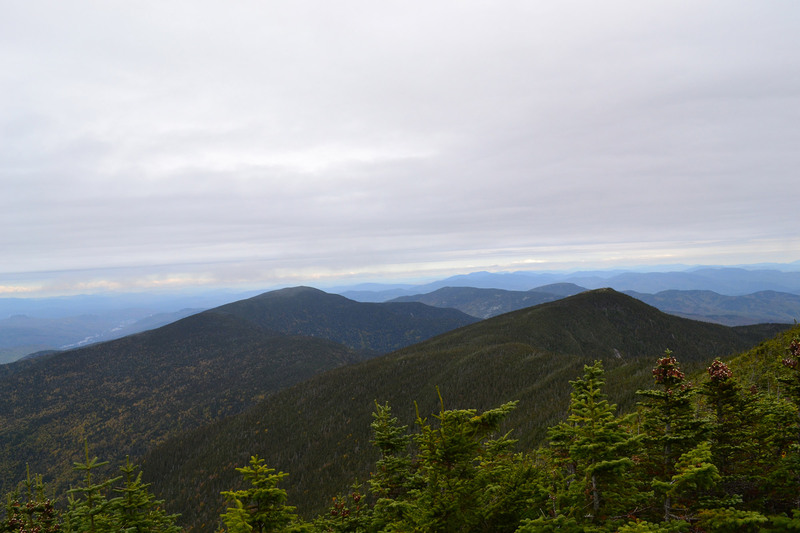 While all of New Hampshire’s 4,000-footers deliver a physical test, many come up short when it comes to views. Owl’s Head, Waumbek, Galehead, Hale, and Field all jump to mind, while Tecumseh, South Hancock, and Passaconaway offer limited views at best. Unlike these mountains, every one on the 52 WaV list delivers an amazing view. And, depending upon which peak you visit, the sights may be far superior to what you’ll see from some 4,000-footers. While New Hampshire’s 4,000-footers are all located in the same part of the state, the 52 WaV list offers greater geographical diversity. Firstly, this helps get you away from the crowds bagging 4,000-footers. Secondly, it’s an excuse to explore other parts of New Hampshire. And, depending upon where you’re coming from, you may even spend less time in the car. 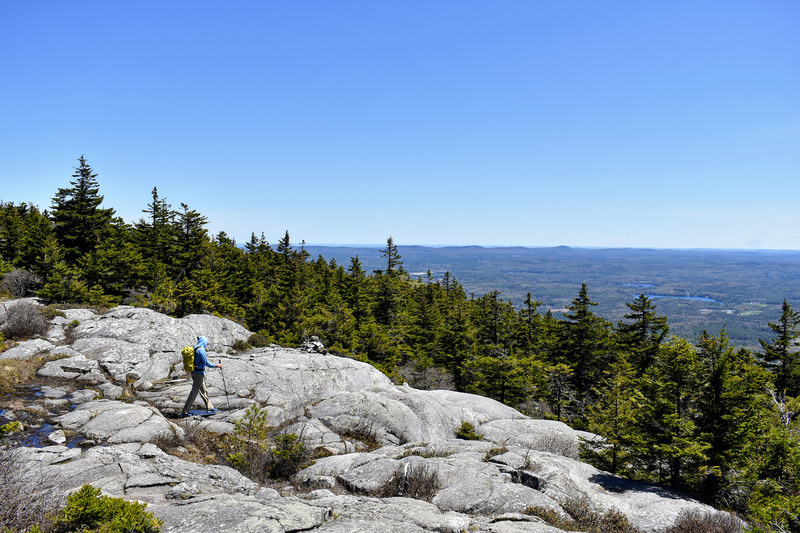 In Southern New Hampshire, Mount Monadnock and Mount Kearsarge stand out. 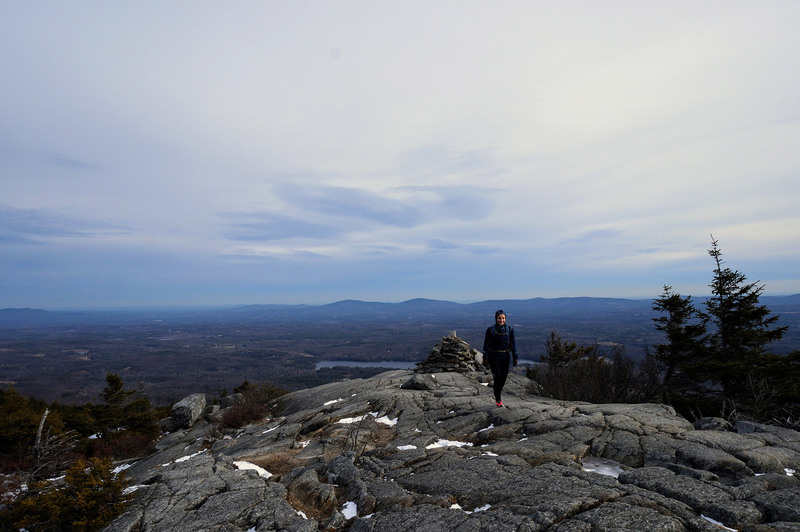 Mount Shaw and Mount Roberts are Lakes Region highlights. 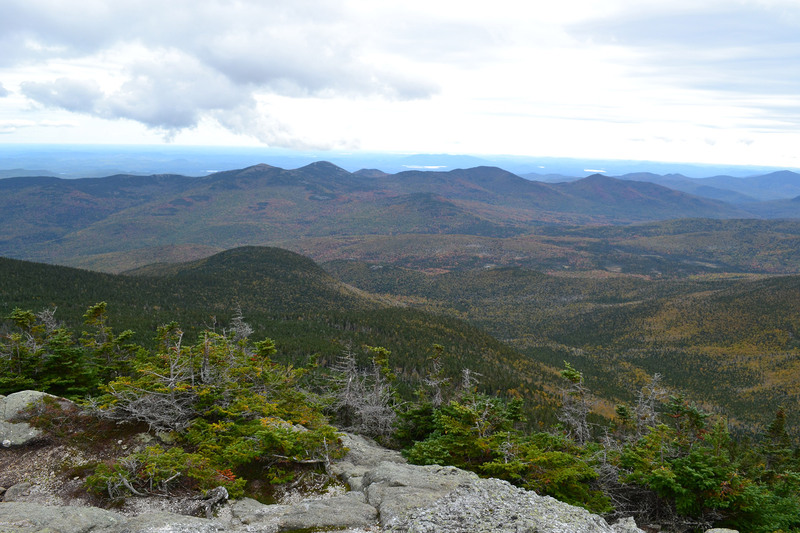 In Western New Hampshire, Mount Cardigan and Mount Cube are fantastic hikes. 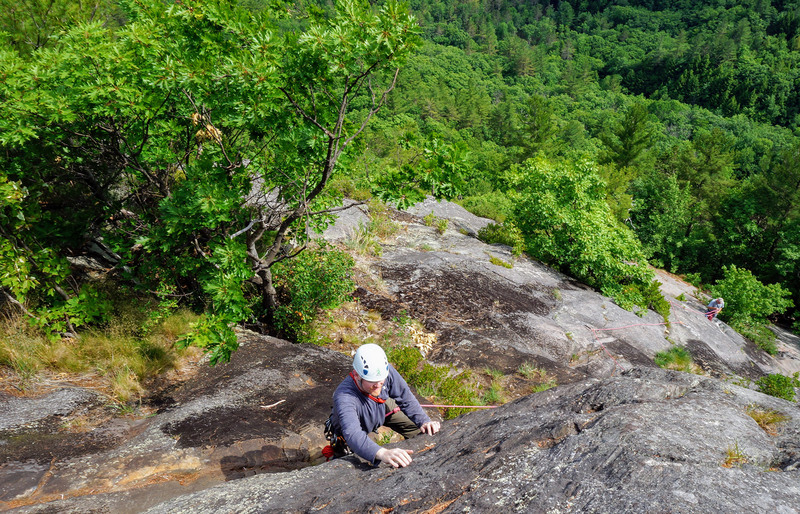 Northern New Hampshire is home to Eagle Crag, Mount Hayes, and Mount Success—which, by its name alone, you should save for last. 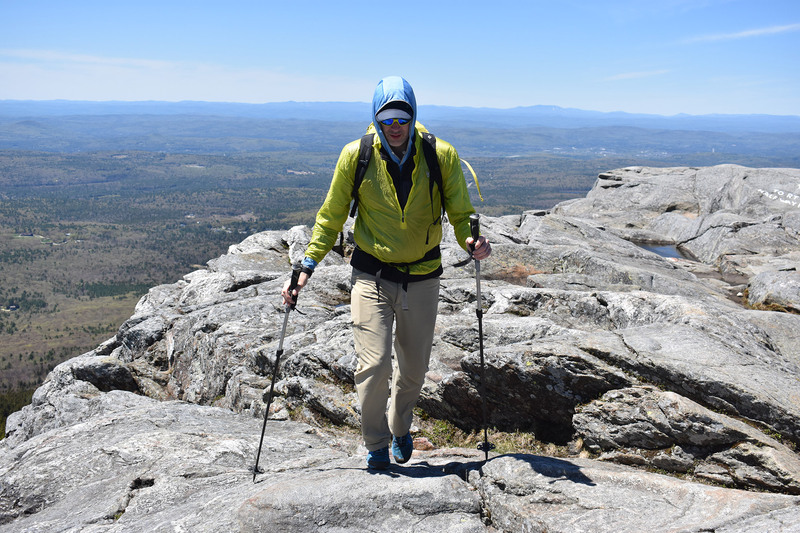 And, around the Conway area are the Moats, Mount Chocorua, and the other Mount Kearsarge, also known as Kearsarge North. Even the easiest-to-summit 4,000-footers require hiking a fair amount of mileage and entail considerable elevation gain. 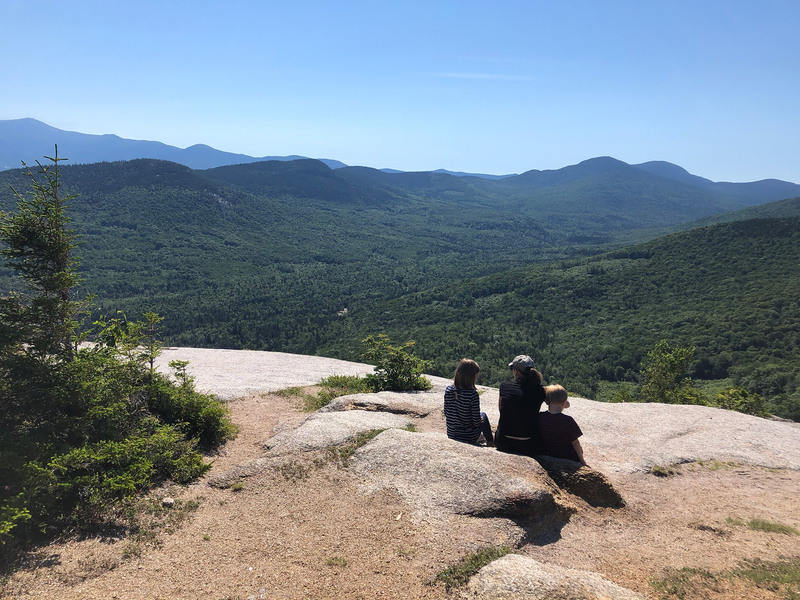 Although the 52 WaV list has some challenging hikes—for example, Sandwich Mountain (sometimes called Sandwich Dome) is as hard as, if not harder than, many 4,000-footers—many are great for first-time hikers or for bringing the family along. 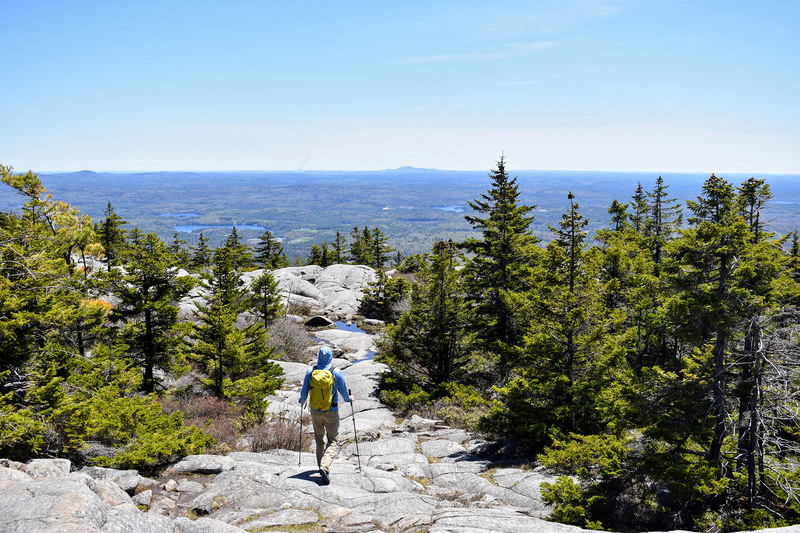 Hikes like Mount Willard, Mount Pemigewasset, the Sugarloafs, Hedgehog, and Welch-Dickey let you explore the Whites without the elevation gain, challenging terrain, and time commitment. Lower elevations and shorter mileage make the 52 WaV peaks a good backup whenever bad weather and high winds are buffeting the higher summits. Likewise, many of these shorter peaks are great starter trips for those new to winter hiking. Depending on how much you’ve accomplished in the Whites, the 52 With a View can be everything from a great starting point to something entirely new. 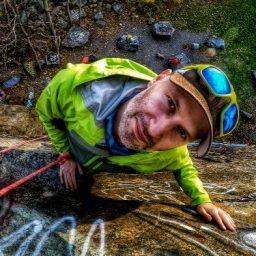 For those who have already completed the New Hampshire 4,000-footers and are looking for something different, this list is an awesome alternative. Even if you’re working on the NH48, a handful of the 52 WaV can easily be tied into bigger trips. 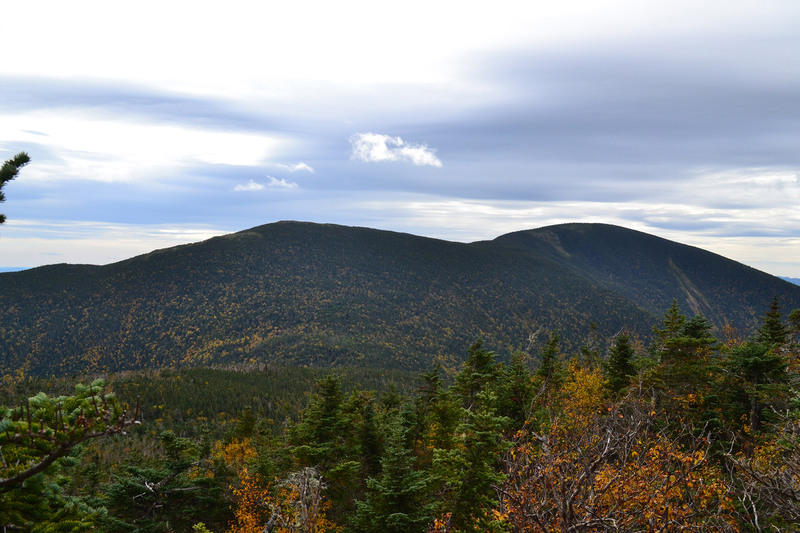 For instance, include Avalon on a hike across Willey, Field, and Tom, and the majority who summit Mount Waumbek first cross over the top of Starr King. For super-ambitious, Type-A personalities, many of the 52 WaV can be hiked in the same day, thanks to their shorter mileage. And, Redliners will need to cross many of these peaks, as the trails leading to them are in the AMC’s White Mountain Guide. If you have a favorite on the 52 With a View list, we want to hear about it. Leave a comment telling us which one you love and why somebody should visit it! 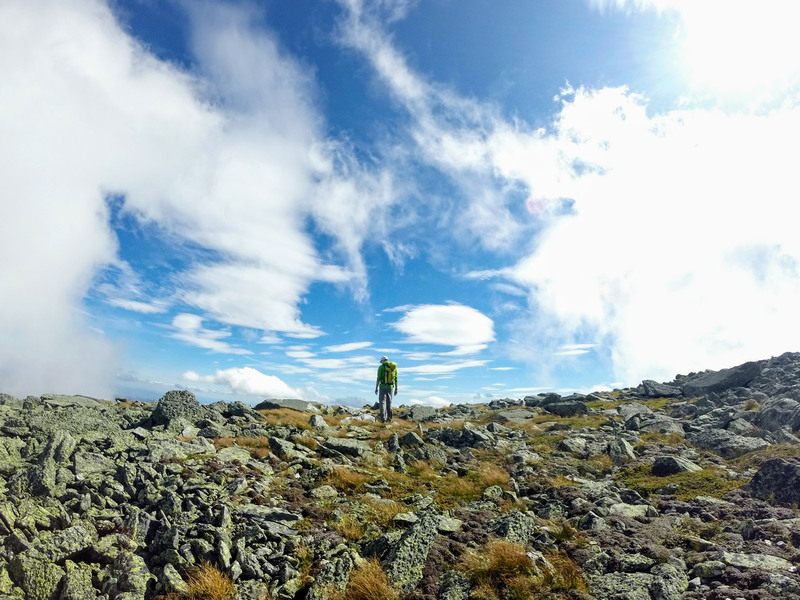 The White Mountains, and Mount Washington in particular, are one of the region’s most densely-packed trail areas. This means you have several options when you head up for Seek the Peak. But, to figure out your route, what’s better than to start with advice from the folks who spend day after day working on the mountains? So, check out the favorite trails and sections from these Mount Washington Observatory employees—the guys who know the region better than anyone. 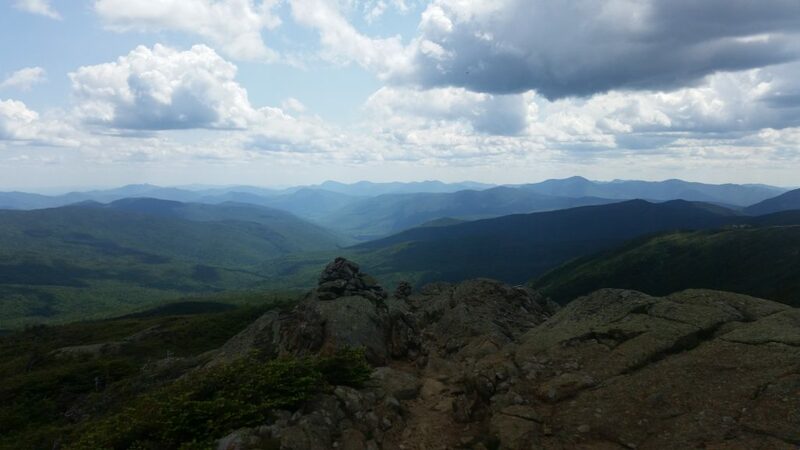 While not a hike up Mount Washington, this trail has so much to offer: great views, a relatively short length, and some interesting rock scrambles. The trail starts on Jefferson Notch road at roughly 3,000 feet—the highest of any trailhead in the White Mountains. 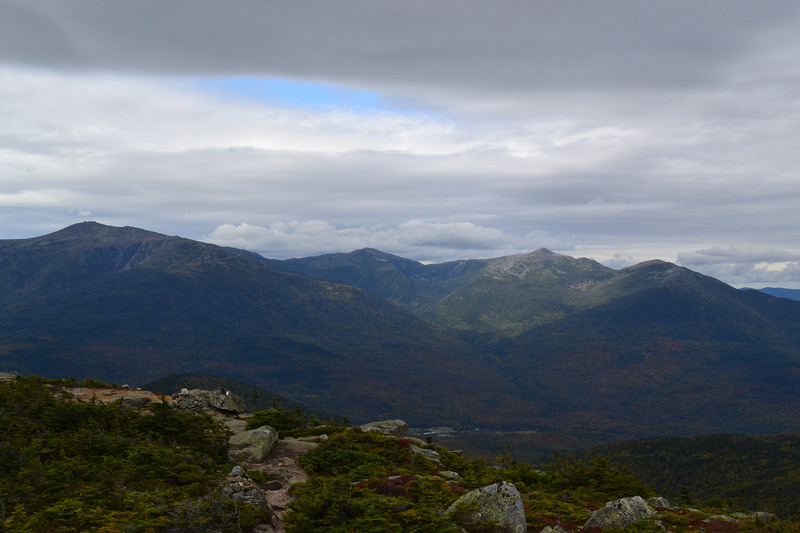 As such, things open up only a mile or so into the hike, and after a short while, unobstructed views of the Presidential Range and Mount Washington emerge. The “Caps” section consists of three short rock scrambles. 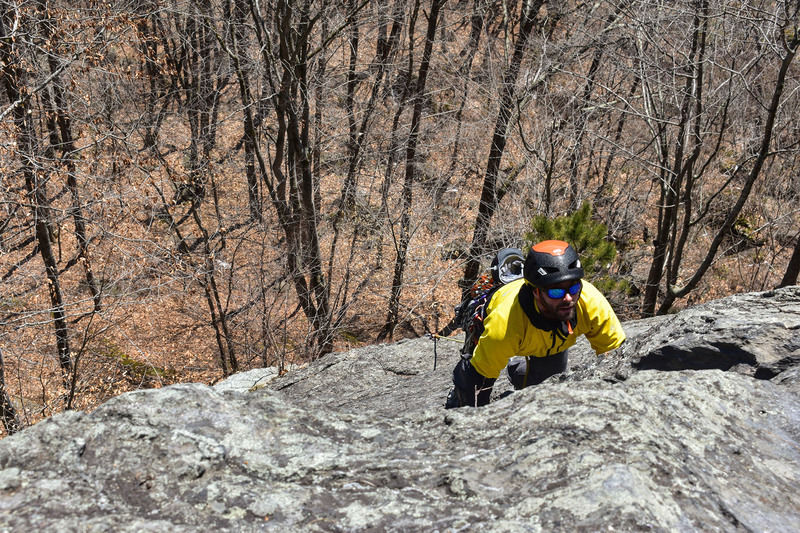 It’s nothing requiring technical gear but enough to offer a great change of pace—and may be the first time you use all four limbs to climb a mountain! Overall, this hike is far shorter than many of the other routes to summit a Presidential Peak, but it still offers some challenges, with nearly 2,700 feet of vertical gain in only 2.4 miles. This is my favorite hike, because it manages to pack so much into just a few short and very beautiful miles! 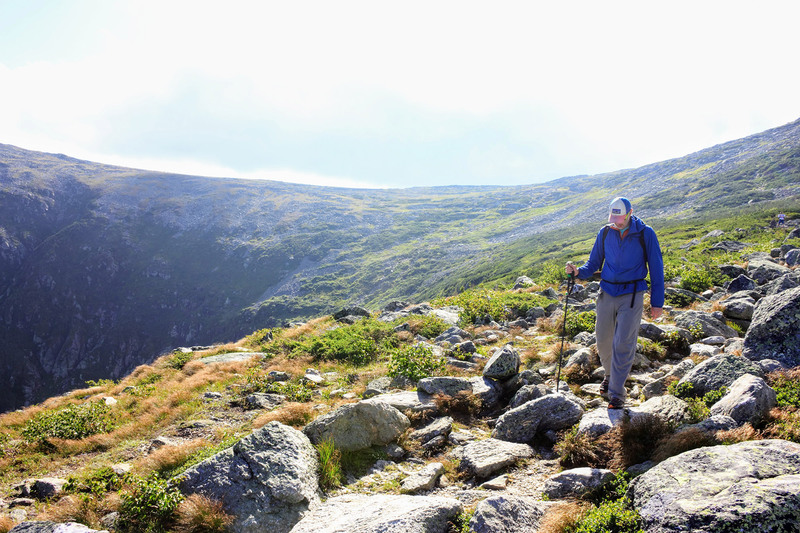 Totaling roughly 14 miles from Crawford Notch to the summit of Mount Washington, the Davis Path is one of the oldest and longest approaches to the Northeast’s highest peak. Constructed back in 1845 as a bridle path, this trail is an exhausting ridge hike for an ambitious day-hiker, and a very pleasant multi-day approach for backpackers. 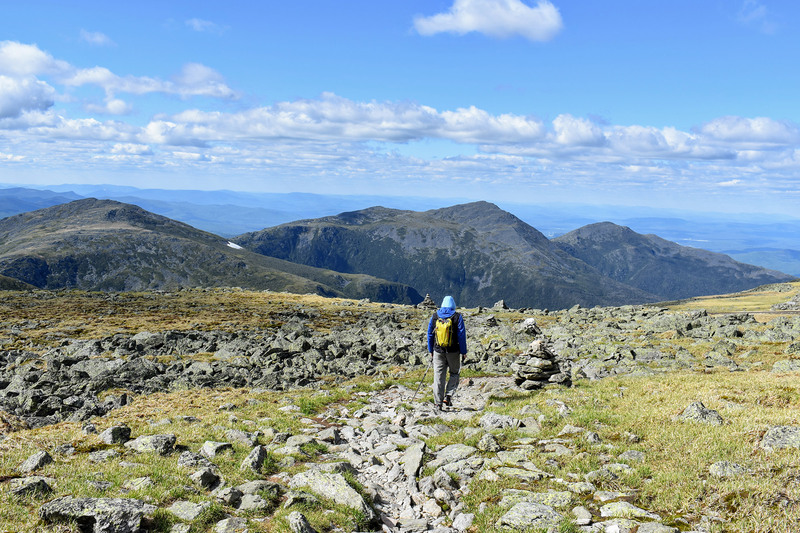 Along the way, hikers get stunning views as they summit Mount Crawford, Stairs Mountain, Mount Davis, Mount Isolation, and Mount Washington itself. 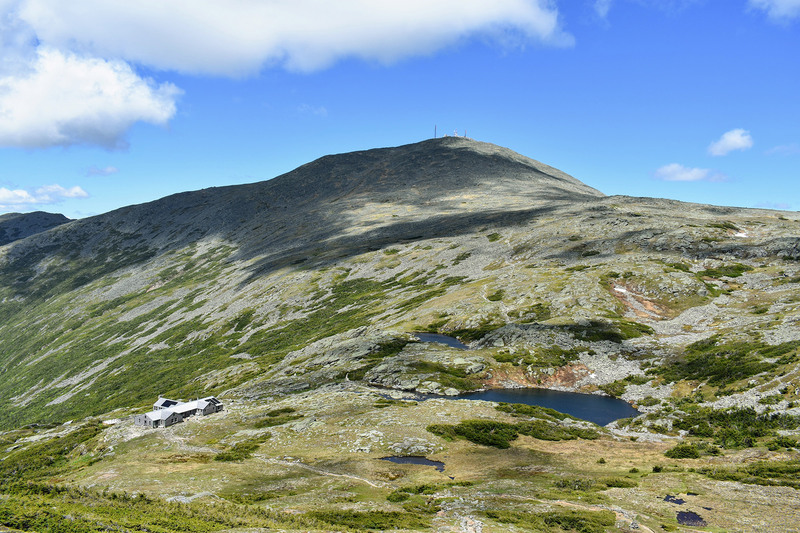 At over 5,500 feet in elevation and just below the peak of Mount Washington, the Westside Trail is one of the best places to escape the crowds on a pleasant summer day. At 9/10ths of a mile, the trail follows the mountain’s contour, providing excellent views to the west between the Crawford Path and Gulfside Trail. For staff who live and work on the mountain, this is the perfect loop to run when you want to get outside! 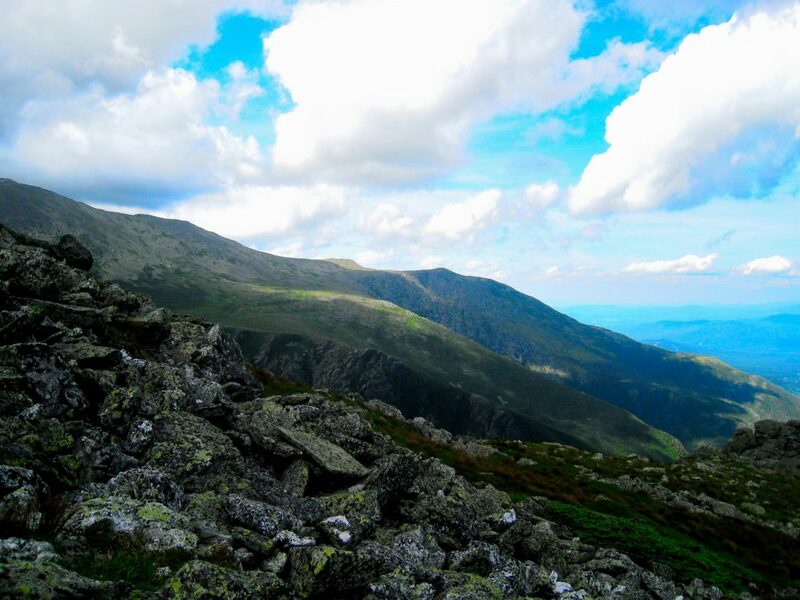 After you summit Mount Washington, this can be made into a spur hike or an alternate route down (via the Nelson Crag Trail). 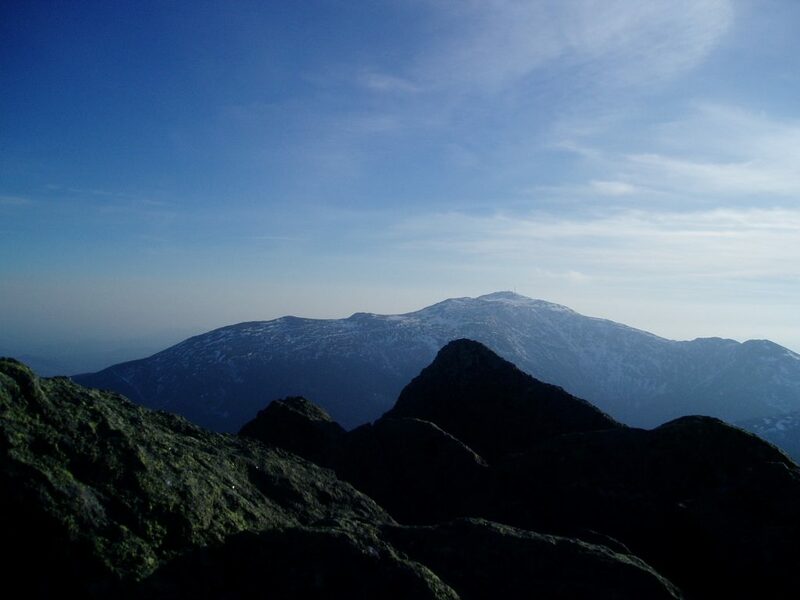 While Ball Crag’s technically not a summit and is instead classified as a subsidiary of Mount Washington, the rise in land does come to an elevation of 6,066 feet, based on the Washburn map. From the summit, take a 0.18-mile hike down the Nelson Crag Trail, which will bring you to this rise in land. 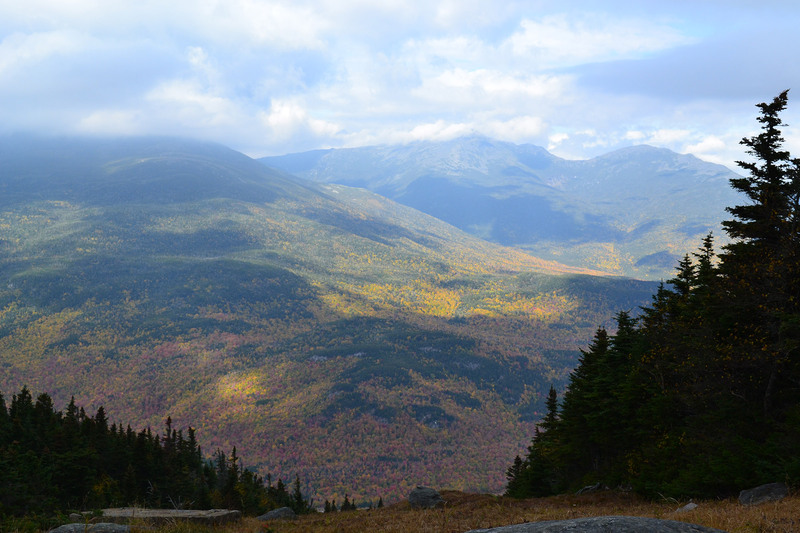 Here, get sweeping views of Pinkham Notch to the east, the Great Gulf to the west and north, and a unique perspective of Mount Washington to the south. 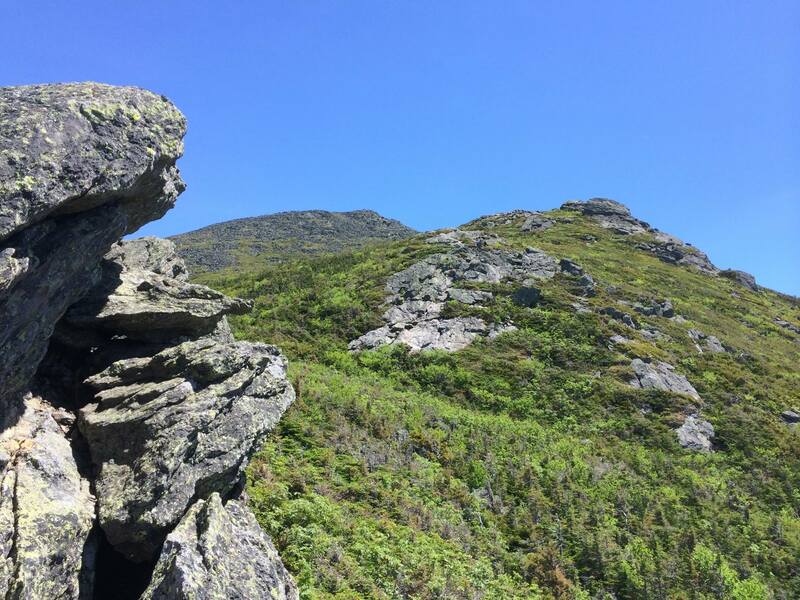 If you’re looking for a more intimate mountain experience on the east side, away from the crowds on the Tuckerman Ravine/Lion Head Trail, Boott Spur Trail is an excellent choice. This 5.7-mile, one-way trail is a longer route to and from the summit and can be significantly more challenging for hikers. For those willing to put in the time and effort, it provides great views, with plenty of flora and fauna to take in the entire time. This trail puts hikers above treeline quickly, and for a large portion of the trip, you’ve got those great views. However, you will also be exposed to the elements for significantly longer. So, check the forecast and pack and prepare for any changes in the weather you might experience over the course of a day. 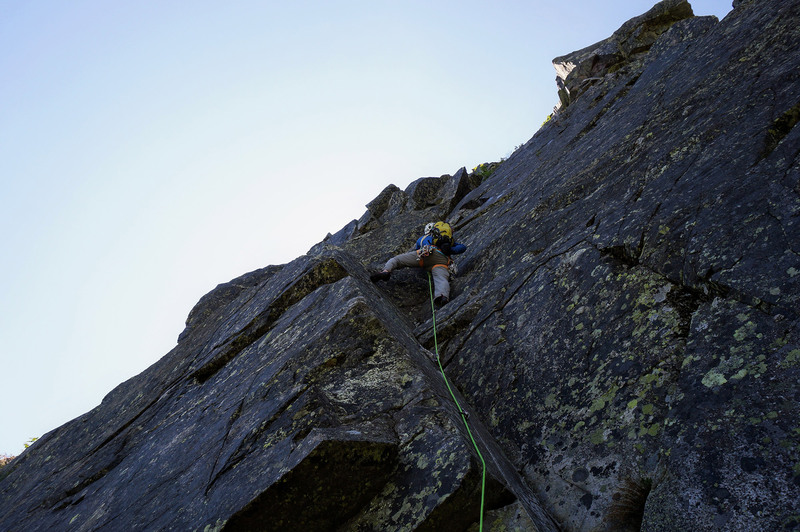 And, since this route is longer, it requires more time to ascend and descend. Weather and fitness permitting, this route could be the start of a Presidential Traverse or simply a nice and fairly challenging hike on its own. Mount Madison via the Valley Way Trail rises relentlessly from the Appalachia Trailhead, gaining over 4,000 feet of elevation in roughly 3.8 miles while passing close to several detour-worthy cascades and waterfalls. 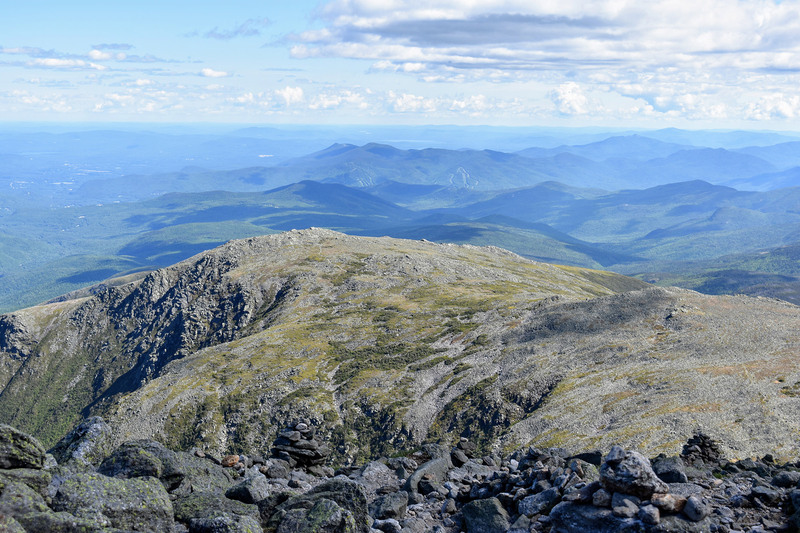 This sustained effort brings you to the outermost edge of the Northern Presidentials, with sweeping views of Mount Washington and the ribbon-like Auto Road tracing its way upward in the foreground. The summit of Madison is easily one of my favorite vista points. 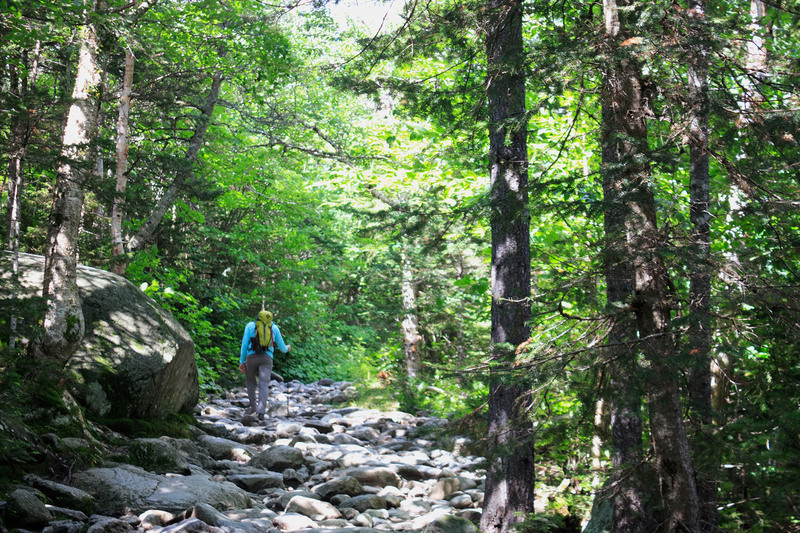 The Lion Head summer route begins along the Tuckerman Ravine Trail out of Pinkham Notch. Two of my favorite sections actually bookend this hike. Shortly after leaving the parking lot, take a slight detour to Crystal Cascade: a stunning waterfall with a total drop of 100 feet, split in two by a small pool. 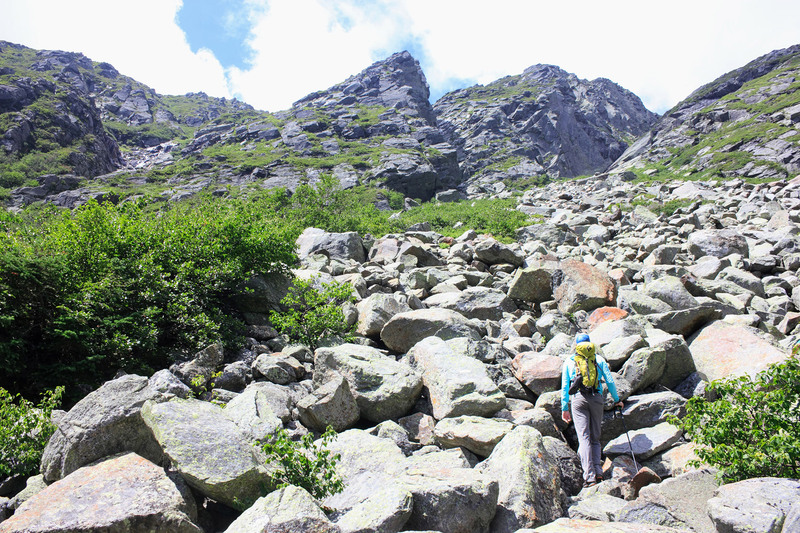 Much farther along, once you’ve crested Lion Head, views open up along a relatively flat traverse flanked by the Alpine Garden on your right—check for rare alpine flowers—and Tuckerman Ravine, often with snow and ice remnants along the headwall, on your left. The summit proper is then only a moderate scramble away.